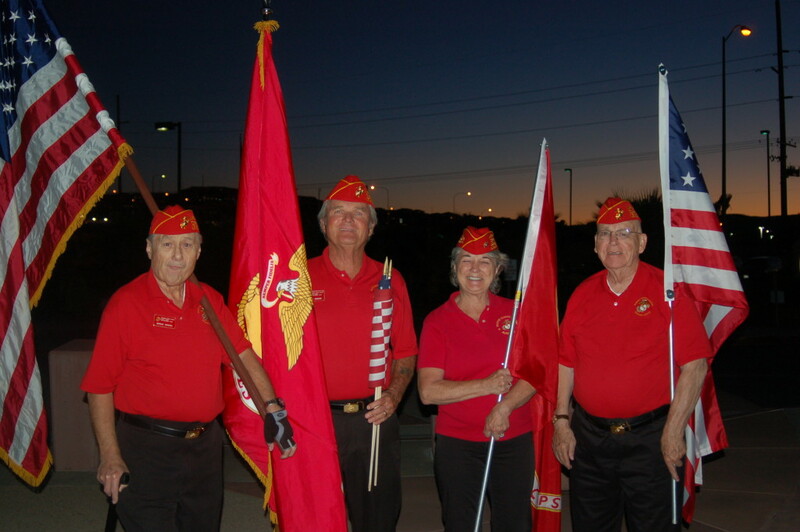 ST. GEORGE – The red, white and blue of the American flag and other patriotic paraphernalia stood out against the dark indigo sky Saturday night in front of the Dixie Center St. George, 1835 S. Convention Center Drive, where a large assembly gathered to welcome home a group of World War II and Korean War veterans who participated in the Utah Honor Flight. 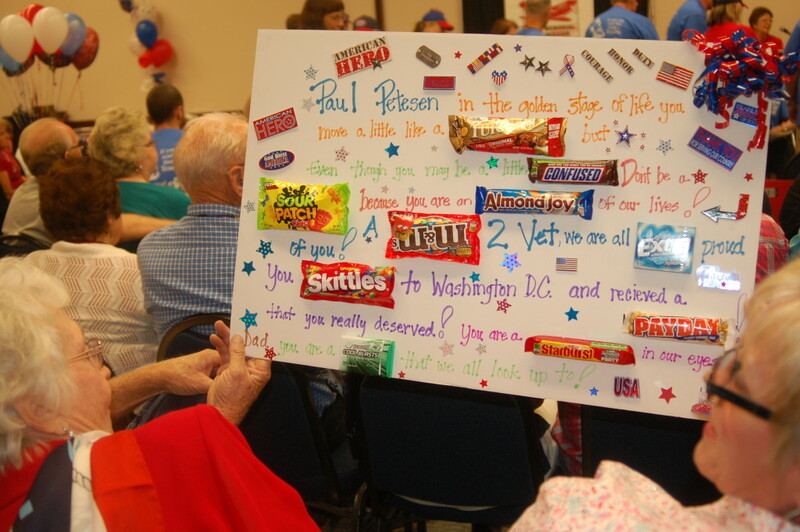 Over 20 veterans along with their guardians traveled to the District of Columbia Thursday to take part in a trip of a lifetime to see memorials and monuments dedicated to the service of the nation’s veterans. 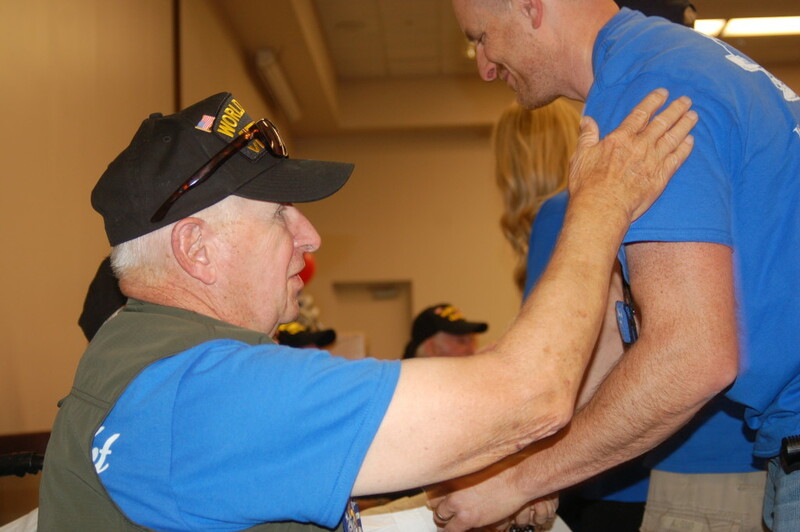 While in the nation’s capital, Sen. Orrin Hatch made a surprise visit to pay his respects to the Honor Flight veterans. 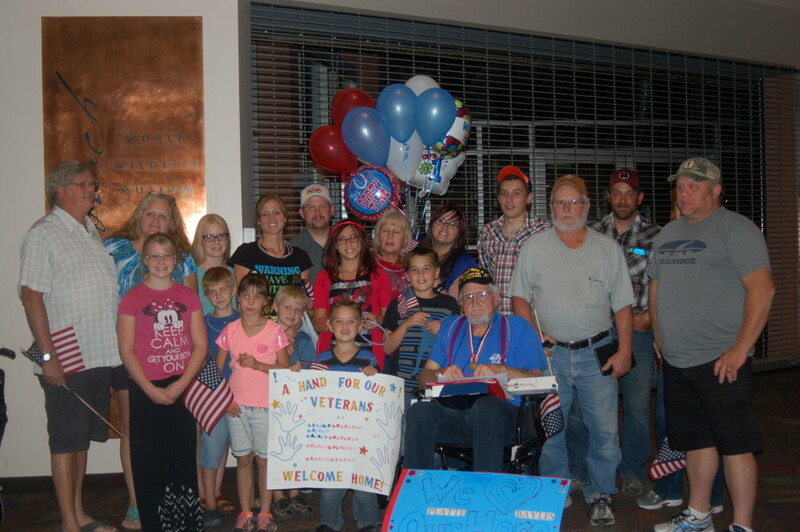 The group returned Saturday evening to a hero’s homecoming, escorted by the Patriot Guard Riders and welcomed by family, friends, the Dixie Wing Air Force Junior ROTC, St. George Mayor Jon Pike and many other supporters. 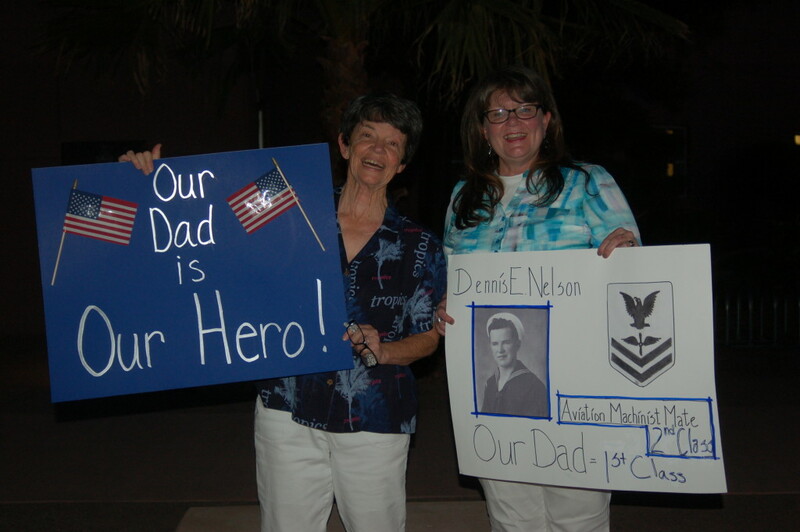 It was an emotional evening for families and friends who waited for their special veterans to return home. 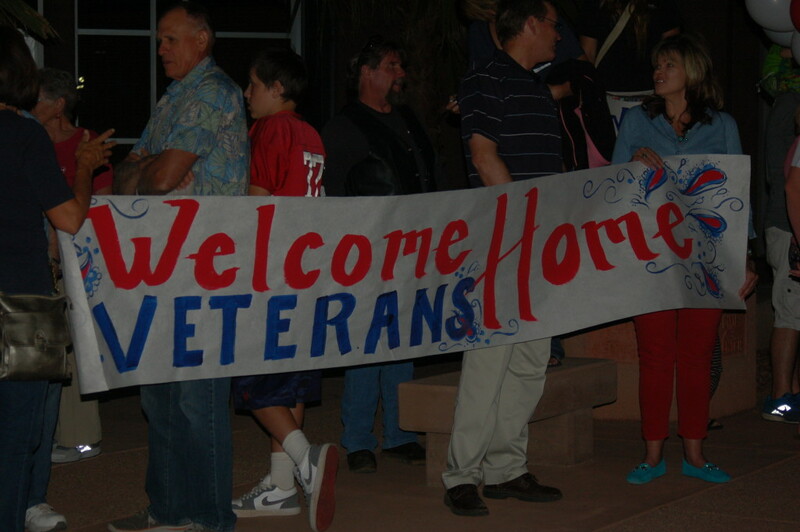 For them, it was a chance to give those servicemen the welcome home they deserved many years ago. 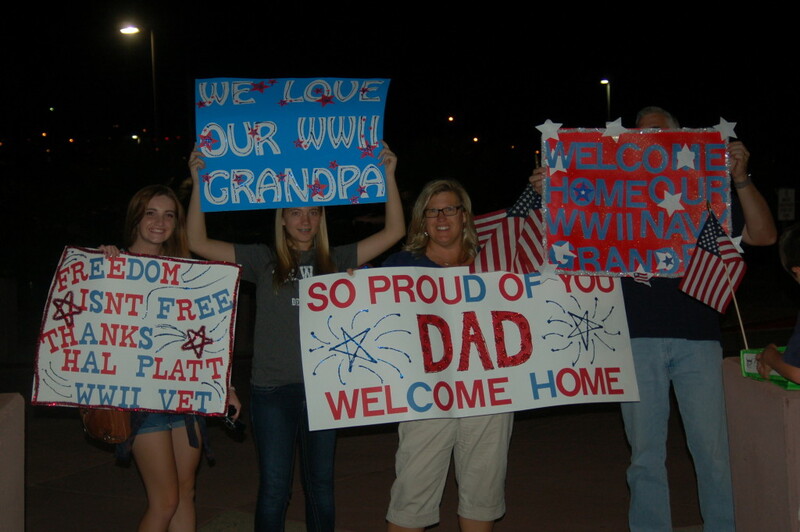 Platt-Brown was waiting for her father, Hal Platt, a WW II veteran. 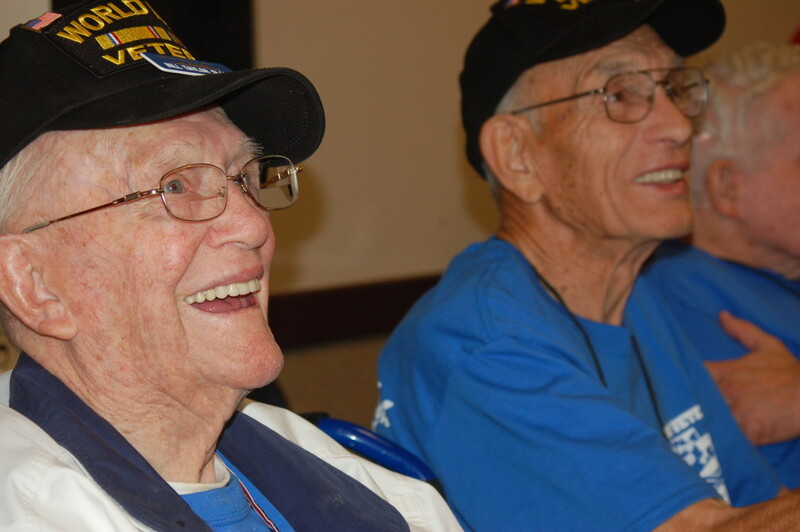 Yonk and Nelson were waiting for their father, Dennis Nelson, who served in WW II. 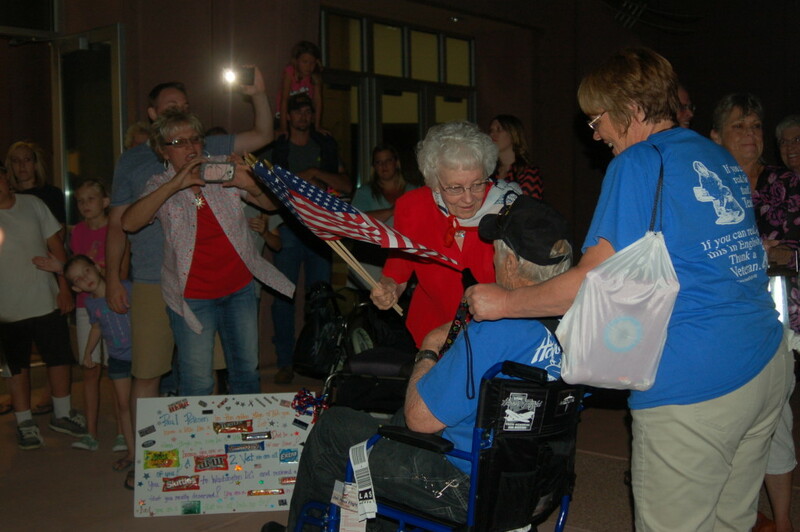 As the bus carrying the Honor Flight participants from McCarran International Airport in Las Vegas, Nevada, pulled up to the Dixie Center led by the Patriot Guard Riders, the crowd erupted in cheers, waving flags and shouting “thank you!” to the disembarking veterans. 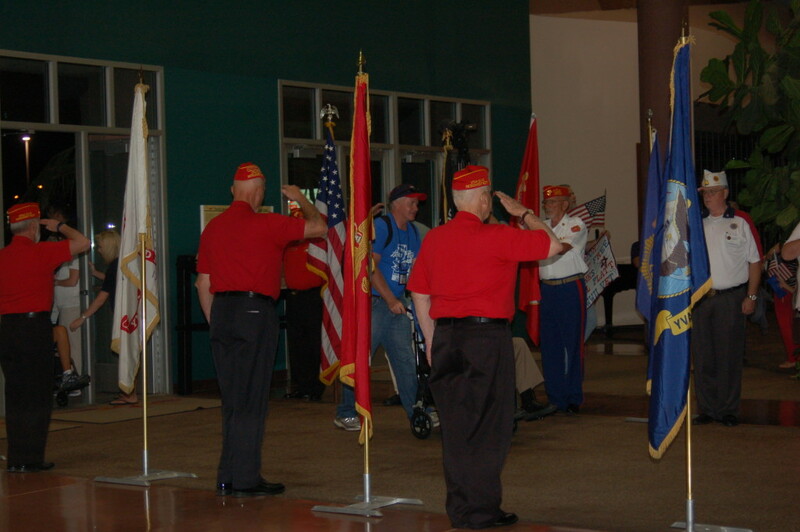 Inside the Dixie Center a reception was held that included a powerful and patriotic musical selection, guest speaker Mayor Pike and a presentation to the veterans of a photo book and an American flag. 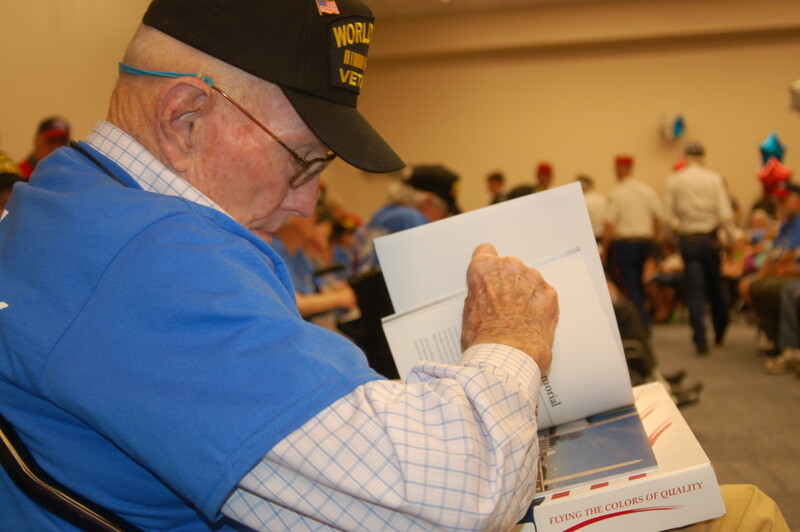 “What stories they have to tell,” Utah Honor Flight Subcommittee Chair Jennie Barnett said from the stand, urging those in attendance to take their time and listen to the veterans’ stories. 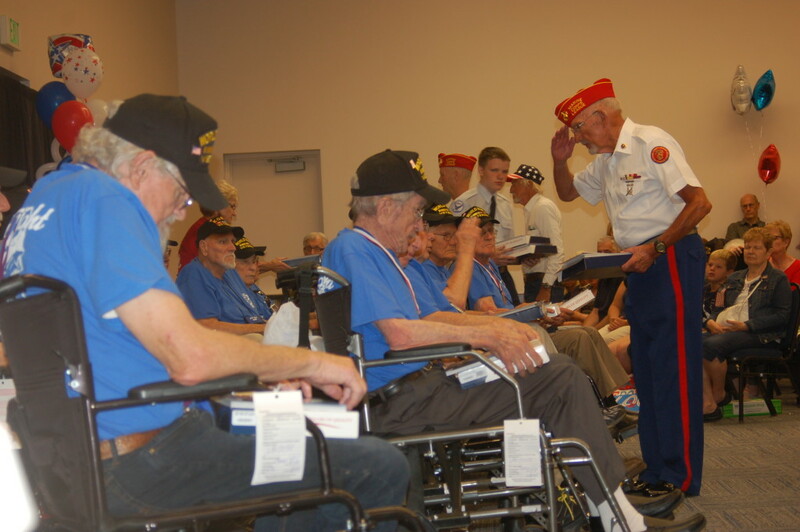 Stories of their trip, yes, and also of their service to this country. Richard McKee Bean served in the Marines, he said, as an airplane mechanic on a small aircraft carrier in the South Pacific everywhere from Okinawa, Japan, to Borneo and places in between. 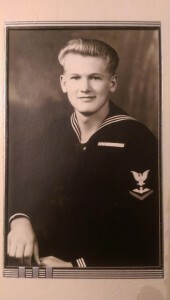 He lost planes, Bean said, but ultimately we won the war. 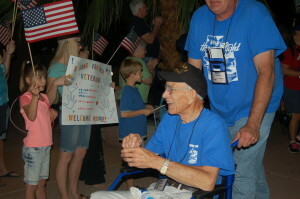 Bean said the entire experience was wonderful and found it difficult to pick any one moment as his favorite. 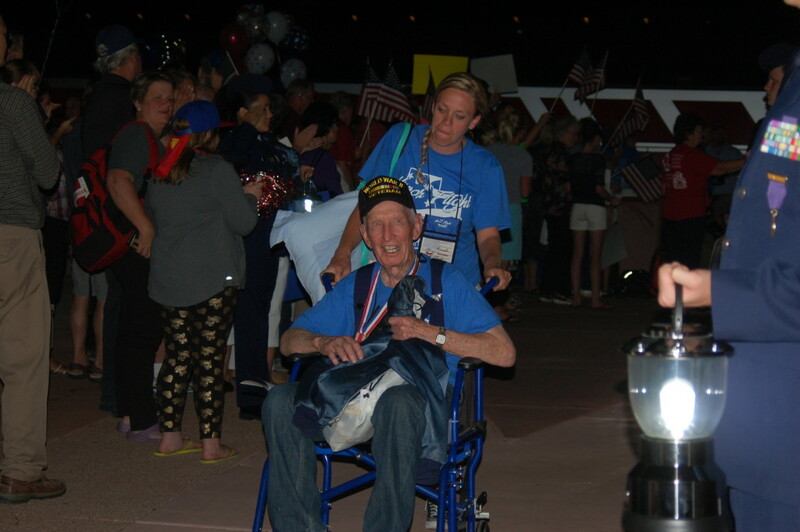 To learn more about the Utah Honor Flight program and how to become involved or donate, see the Utah Honor Flight website or Facebook.